Cleaning the bathroom is one of the most hated cleaning tasks for many people. Just thinking about dirty toilets, sinks, floors, and bathtubs might make your heart skip a beat. But one of the most dreaded chores? Keeping your shower doors clean! Cleaning soap scum and hard water off your shower doors are some of the most frustrating jobs in the house. Here's how to do it right so they stay clean! When cleaning shower glass doors, the hardest part is removing soap scum. To get the job done right, you need a hardy shower cleaner. One of the best soap scum removers is vinegar! Combine one part distilled vinegar and three parts water in a bowl and microwave for 60 seconds. Put the solution in a spray bottle and apply to your shower doors. Wait for five minutes and then wipe down the shower doors with a cloth. You'll see the soap scum come right off. Once you've removed the soap scum, try applying Rain-X. We know this sounds silly, but it works! It prevents water and soap build up on your shower doors. Now that you have the right shower cleaner, you may still be wondering how to clean glass shower doors. The next step is to make sure you have the right tools for the job. As stated above, you'll need a clean spray bottle to apply your cleaning solutions. You should also have a toothbrush or small cleaning brush handy to properly clean areas around the shower door frame. After you rinse off the cleaning solution, use a squeegee to remove any water from the shower doors. Removing remaining water and soap scum with a squeegee prevents mildew from building up. You may know how to properly clean shower doors, but that doesn't make the task any less daunting. Stay ahead of the soap scum by cleaning while you shower! At the end of your shower, your shower doors will be warm, making a quick cleanup easy. And at this point, you're already wet so you don't need to worry about getting wet or dirty. Create a daily cleaning spray to keep inside your shower to keep your work to a minimum. You can use any of the spray mixtures above. Feel free to add a few drops of essential oils to give your shower that clean, lemony smell. If you do this daily, you can get away with only doing a deep clean of your shower doors weekly or monthly! Remember, cleaning your shower doors is just the first step towards a clean bathroom. Read this article to learn how to become an expert bathroom cleaner. Now that you know the best ways to clean shower doors, you're on your way to a cleaner home. But shower doors are just the start of a clean home. When it gets too much to handle, consider a professional house cleaning service. 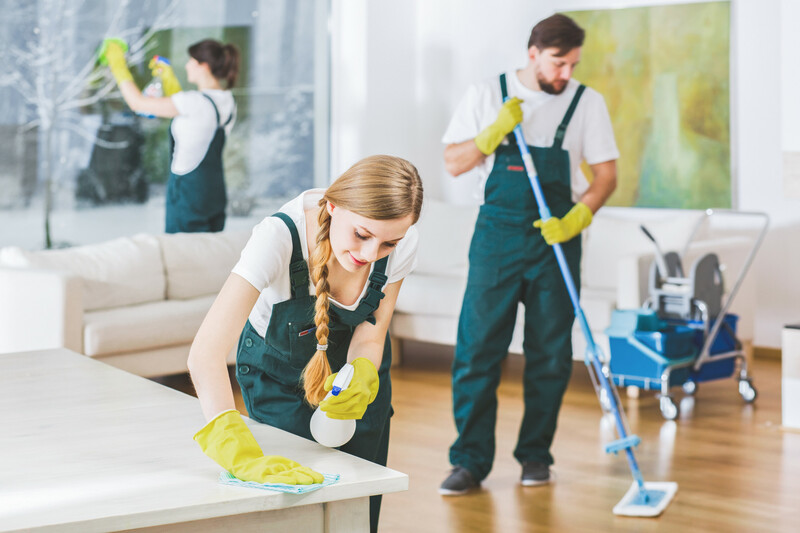 Dirt Busters House Cleaning provides environmentally-friendly cleaning services for Arizona homeowners. Ready to bring in professional help for professional results? Request a quote today!